Spiro Women's Airflow Gilet this is made from a soft and stretchy bonded fabric and can be layered for extra warmth. 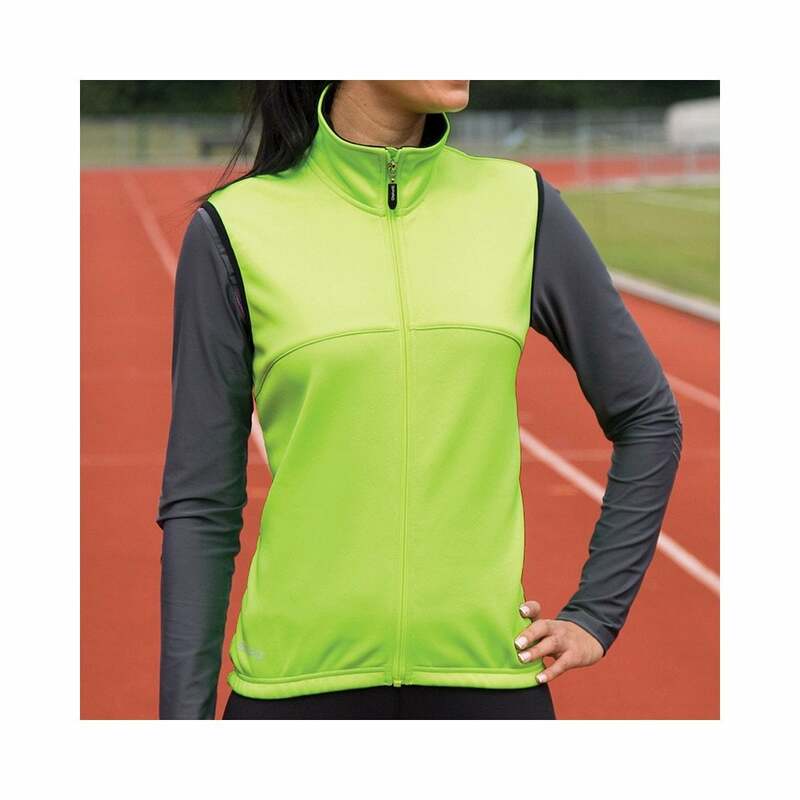 It has a breathable contoured back mesh panel, full front zip, longer shaped back panel. elasticated hem and its waterproof, breathable and quick drying.